Guillermo R. Garibay is the first generation son of a Mexican immigrant father and Mexican-American mother. After graduating from Kansas State University, Guillermo obtained his JD degree from CU Law School. Early in his career he worked for Metro Denver Legal Aid, where he litigated immigration cases in U.S. federal court. The majority of Guillermo's career was spent with Public Defender's Office defending indigent client's in the criminal courts. 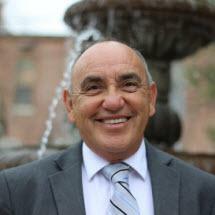 Guillermo has been active in community based politics and involved with groups like the Durango Latino Education Coalition, ARC, and local folklorico dance companies. Growing up hearing of the injustices suffered by immigrants and Americans of Mexican descent, Guillermo takes deep satisfaction in being able to offer Latinos and other immigrants help with their criminal and immigration cases.